For the first time we seem to have some of you stumped… or maybe you were busy in the run-up to Christmas, I know I certainly have been!. We didn’t have quite as many Alphabakes entries this month after we randomly chose the letter J, and it was admittedly a bit of a difficult one. But we still had some great entries, some imaginative and some old favourites, and it’s a pleasure to be able to share the roundup of November’s entries with you. Our first entry this month came from my co-host Ros’s mum. She made a raspberry jam tart, with homemade raspberry jam baked in a ground almond dough. I don’ t know how she got the interesting pattern on the top, but I really like it. Funnily enough our next entry came from my mum! (We do have other people who enter, not just our mums, honest….) 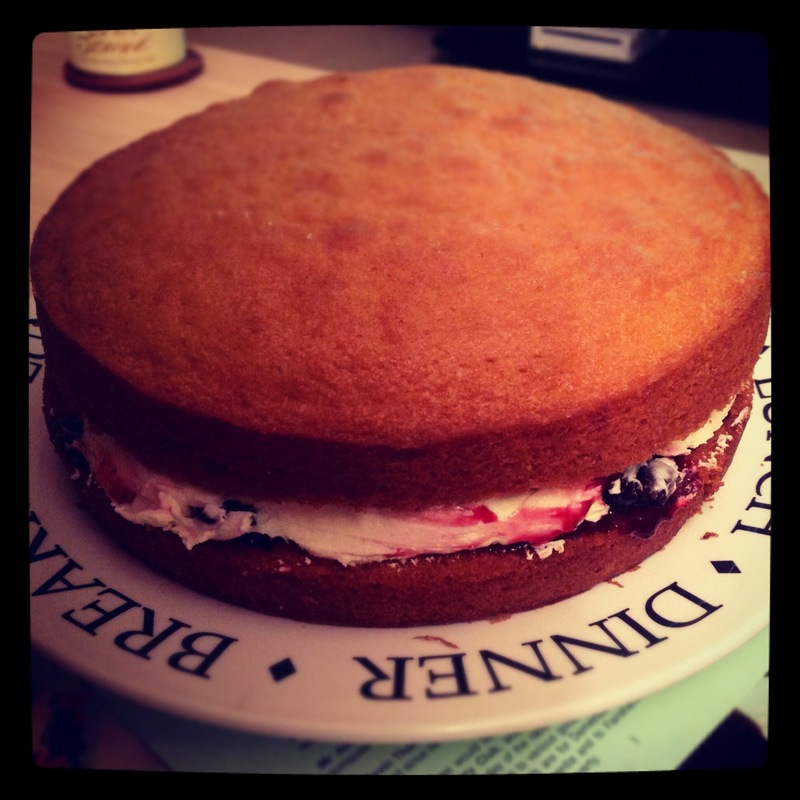 Jacqueline made a jam and coconut sponge – not a flavor combination I would have thought of, but I’m sure it tasted nice! As soon as J came up I knew what I wanted to make – two different things that I loved as a child (and still do!). First of all I tried my hand at making jaffa cakes – I was really pleased with the sponge part, but the heat of the melted chocolate did start to melt the orange jelly. Even so they tasted just right! These brilliant jam doughnut muffins are somewhere in between a doughnut and a muffin, which is a great idea by Ruchira from The Great Cookaroo. Look at the way the jam oozes out! My sister Clare came up with something I hadn’t thought of as well – a Jamaican ginger cake. In fact it was so good she made it twice! Save me some next time, sis! 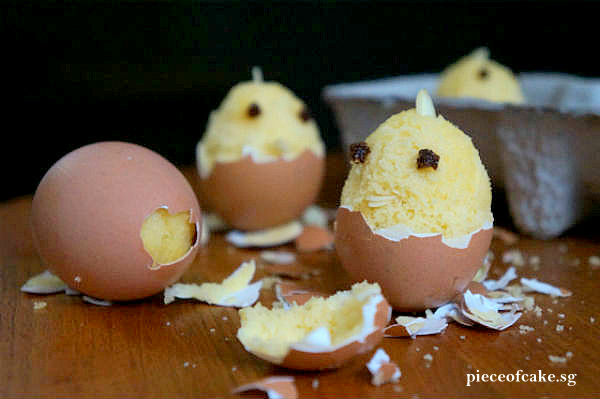 Mich from Piece of Cake treated us to these cute and quirky Japanese steamed cake in egg shells. I don’t think I’ve come across steamed cake before and I might have to bookmark these for Easter! Who can forget Jammy Dodgers…. These Jammy Rings from Eira of Cook Books Galore also take me back to my childhood. She says she had great fun making these, which I’m pleased to hear! My Alphabakes co-host Ros, aka The More Than Occasional Baker, put her thinking cap on (after I got in with the jaffa cakes first!) and made these Jasmine green tea cupcakes. The flowers she piped on top are so pretty! These would be lovely for a birthday party. 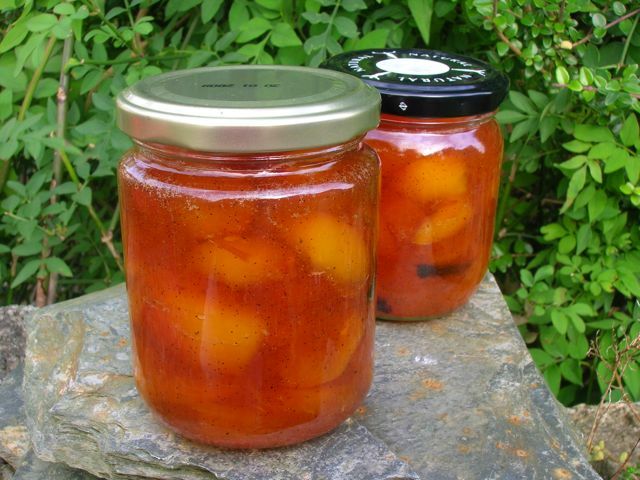 And then this fig, apple and pomegranate jam, which sounds very festive and would make a brilliant homemade Christmas gift. Taking us back to the world of cake is another entry from Mich at Piece of Cake. 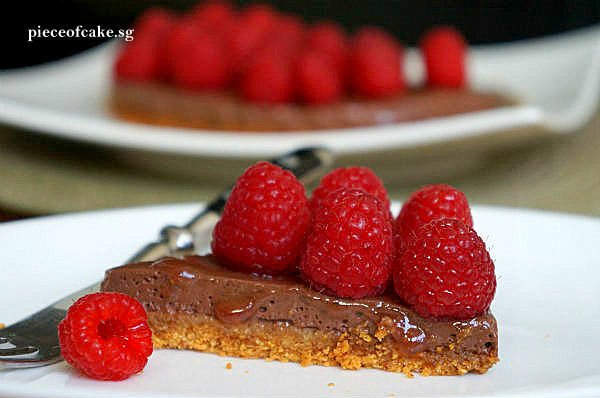 This chocolate raspberry linzer tart uses jam, and looks absolutely delicious! 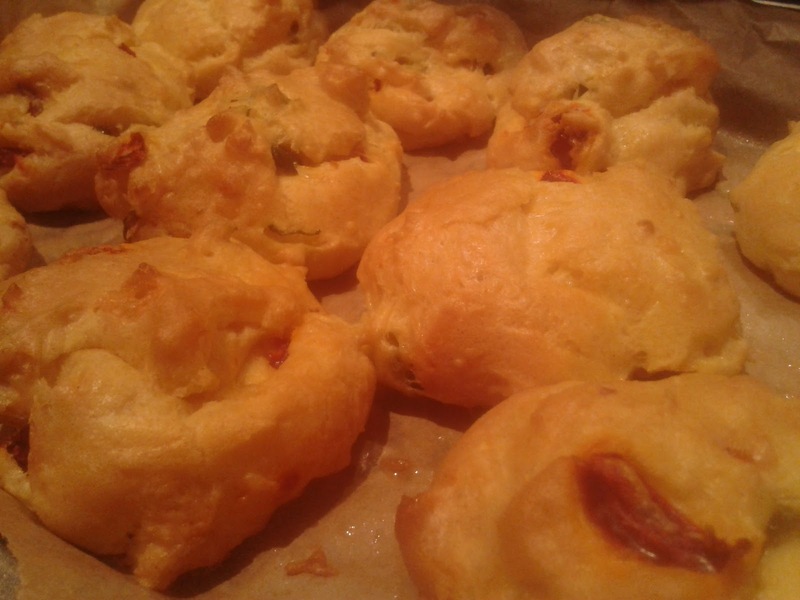 And now for something spicy – these jalapeno cheese puffs from Laura at Credit Munched. She says the letter J didn’t phase her at all and knew immediately what she wanted to make. Laura says she ate them with sour cream and salsa – I might have to try it! 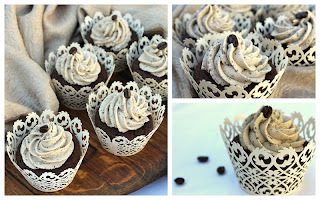 Here’s a great one for the letter J that I wouldn’t have thought of – Java Spice Cupcakes with roasted coffee buttercream. Well done to Claire from Under the Blue Gum Tree for coming up with this – and they look so pretty too! She says these are definitely cupcakes for adults, and I think they would round off any sophisticated dinner party nicely. Welcome to Laura Lemon Pie, an Alphabakes newbie, who has sent us this absolutely wicked chocolate orange jaffa fudge. 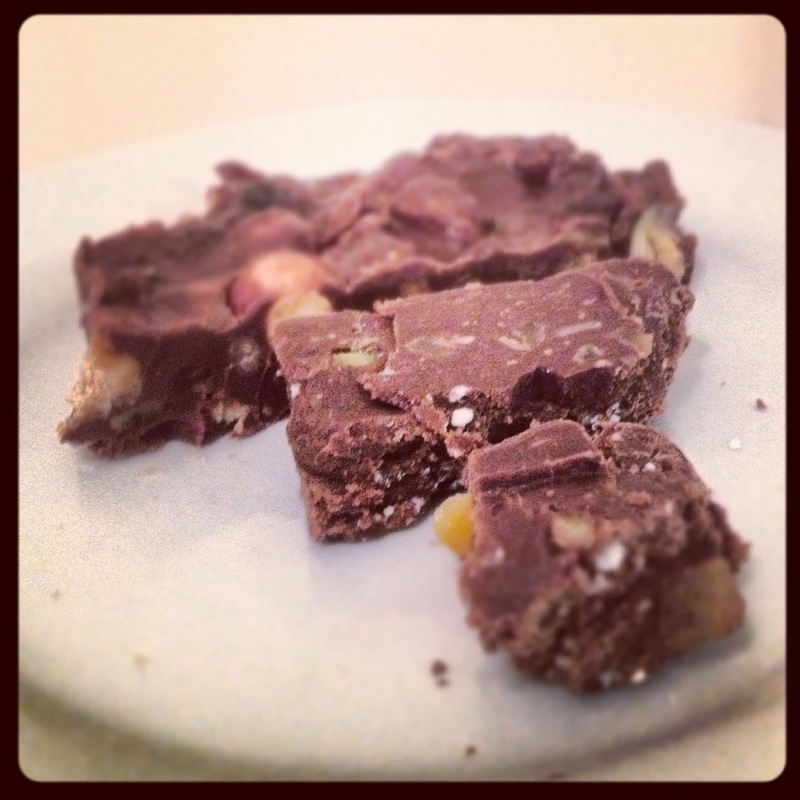 Whenever I’ve tried to make fudge it hasn’t set at all and I’ve had to eat it as a sauce, so I’m impressed Laura’s looks this good – and I bet it tastes even better! Another jalapeno recipe this time from Olivia at LivA Little Bakery, who points out – probably quite rightly – that there aren’t that many ingredients beginning with the letter J! She says this cheesy bread “has a fiery kick and will leave you craving a second slice”. My mum Jacqueline sent in a second entry – these jaffa cakes. She said they were surprisingly easy to make, and tasted great! Suelle from Mainly Baking says that for her, J is for jam – in this case, Delia Smith’s oat slice with cherry jam. 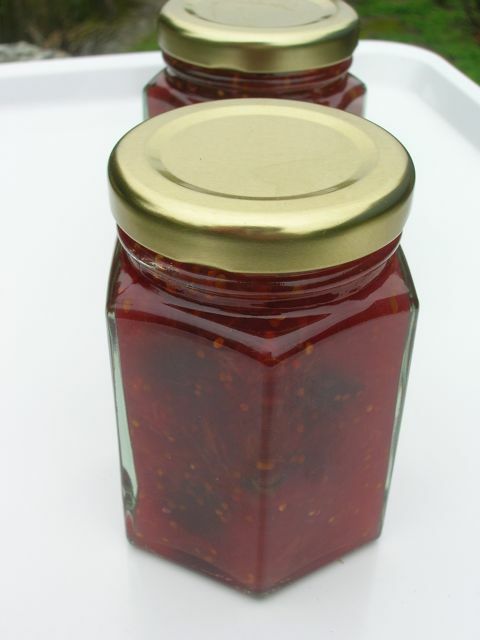 She recommends this for when you’re short of time as it’s quick and easy to make, and it looks like a great way to use up jam too. 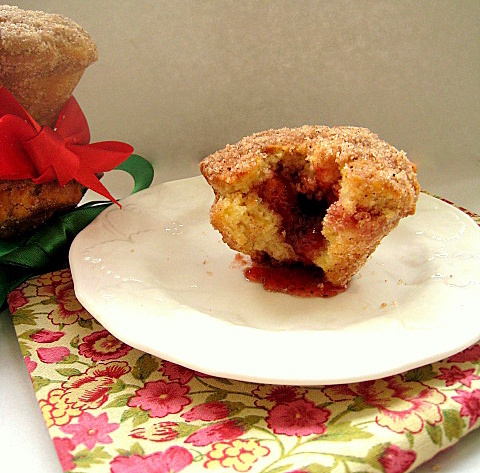 Jean from Papers and Cakes also used jam, in this case in a jam crumb cake. I love hot crumble at this time of year and combining it with cake is a great idea. Have any of you heard of Jap Cakes? I used to get them from the local bakery as a child, and loved the cakey meringue middle with nuts around the outside.. but it seems most people have never come across them before! I scoured the internet to find a recipe so I could recreate them. 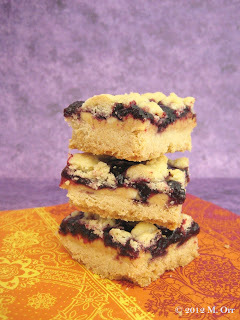 They turned out pretty well but the next time I’m back in my home town I will have to see if the bakery still has them! Melanie from Sharky Oven Gloves says she has a minor PB&J obsession – that’s peanut butter and jelly, and jelly is meant in the American sense, i.e. 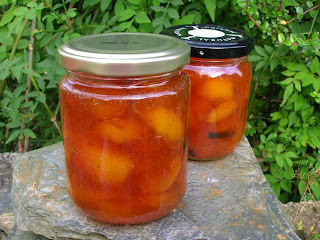 what we call jam. 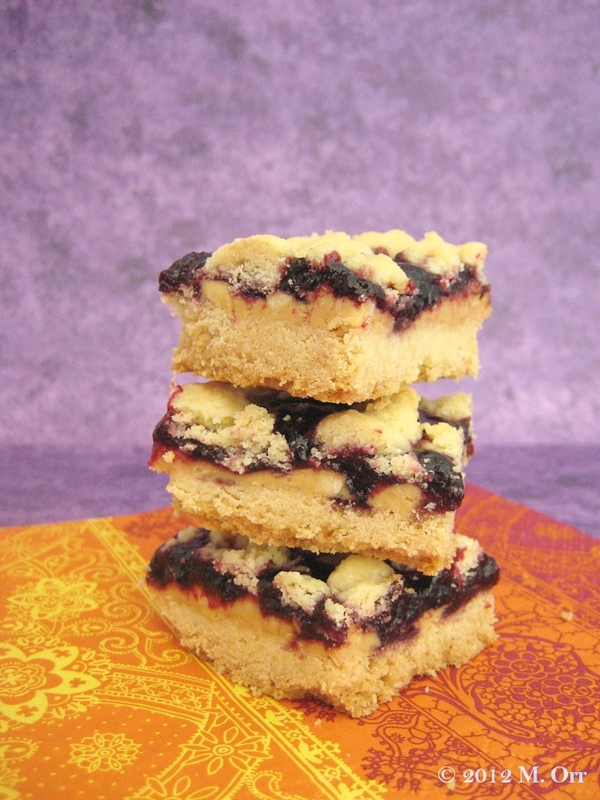 She has been hanging on to this recipe for PB&J Slices for a while – they have a shortbread base with crumbled shortbread over the top, and of course a layer of peanut butter and jelly. Katharine of Leeks and Limoni made us some jammy dodgers, also rather more elegantly named biscotti alla marmellata. They look very festive and would make great Christmas gifts in my opinion. 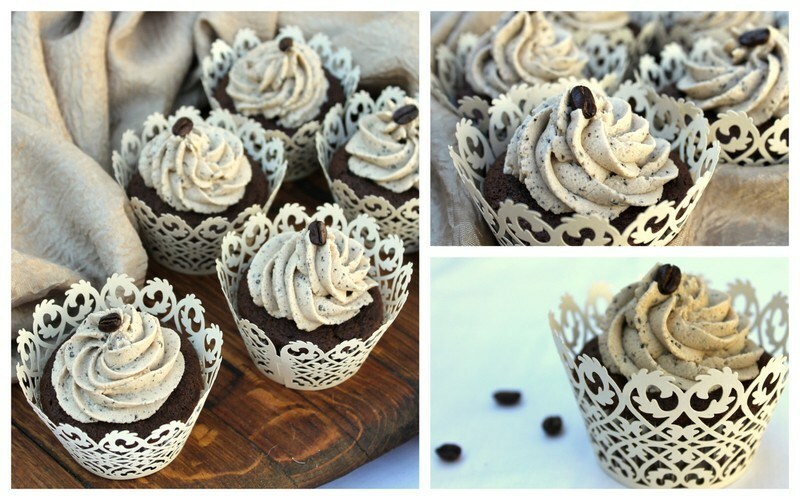 These jazzy cupcakes come from Ruth at Mixing Bowl Magic. They’re based on the retro sweets –discs of white chocolate covered in sprinkles – and Ruth has decorated chocolate cupcakes in the same style. Simple but effective! Next up we have a savoury entry, using Jarlsberg cheese, which is something I love. Fiona at Sweet Thing You Make My Heart Sing incorporated it into bread for this Jarlsberg twist bread, and says it tasted delicious. 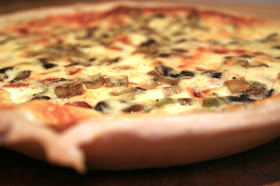 Fiona says: “the texture is lovely and soft with a good crust and a melty centre from the cheese. Not to mention it looks pretty!” – Fiona, you’ve sold me already! Lucas of Cover Versions TV says he was convinced Alphabakes would never get to J, so submitted this recipe when we had T for ‘turnover’… and now has made them again for J! The video for his spiced rhubarb jalousies is fab and the final bake looks pretty great too. We’ve got two entries this month from Sally of PiggyBakes – don’t forget you can send us as many Alphabakes entries as you like! 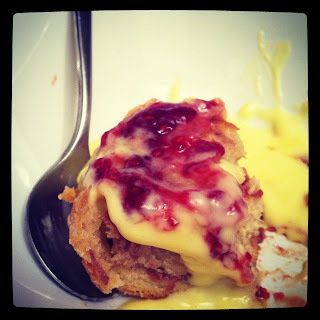 First of all her jam roly poly, which Sally says was easier to make than she thought, and tasted great served with custard. Just the thing for a winter’s evening! Sally also sent us a black cherry andvanilla jam sandwich cake – a subtle twist on a classic Victoria sandwich. 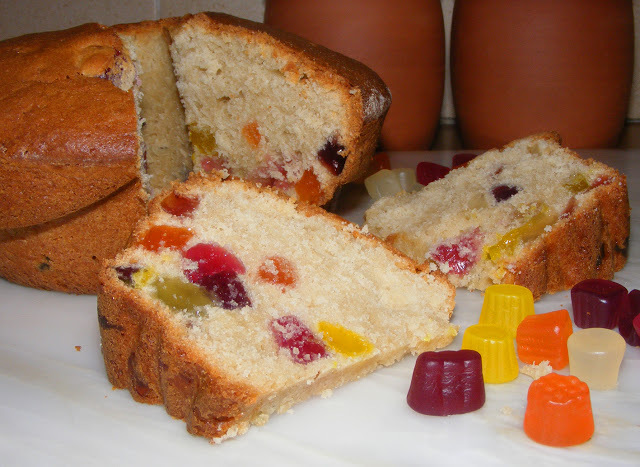 She says the jam is warm and rich, and perfect with this light and moist cake. 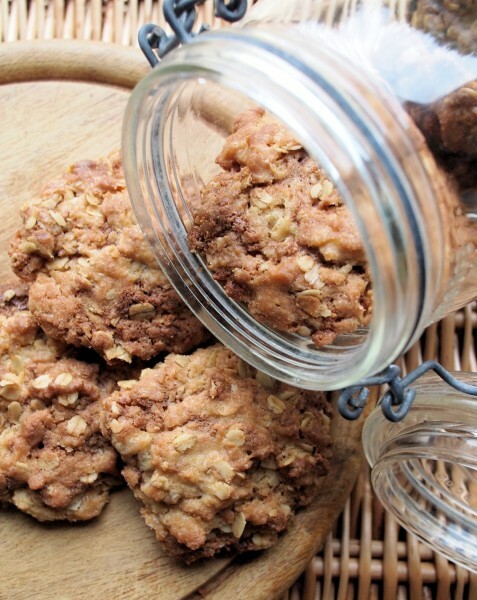 We end on an unusual note, or at least a bake I’ve not come across before – Jumbles! Karen of Lavender and Lovage has made these fabulous chocolate chip and oatmeal cookies, which she says she made as a child with her grandmother and mum. They’re quick to make and only use one pan, which saves on the washing up! A last minute entry and a genius idea - I was sort of hoping someone would come up with a recipe using Jelly Babies, and Elizabeth of Elizabeth's Kitchen has made this Gumdrop Cake, using jelly midget gems, as a substitute for the American sweet Jujubes. I bet children would love making, and eating, this! And finally one that was missed out of the original roundup (please remember to email your entries!) - Dom from Belleau Kitchen made this delicious baby leek, mushroom and tomato jam quiche. And of course there are no soggy bottoms! So there you have it – thanks to everyone who entered! You don’t have to wait long to find out the letter for December – check out www.themorethanoccasionalbaker.blogspot.co.uk on Saturday 1st. And because it’s Christmas, we’ve got a special treat for you – another prize for one lucky Alphabaker! Sorry Dom! It's quite hard to keep track of entries that are only sent via Twitter (in fact I'm not sure I saw this tweet) - if you email in your entry as well then I definitely won't miss it out of the roundup! I've added your quiche to the roundup now, thanks. lots of good ones as usual. Wow people did pretty good to come up with j bakes! I almost entered with something I made using 'jet-puffed mallows' but i thought that was a stretch too far! haha. Hopefully it's an easier letter next month! That would have been a great entry, I definitely would have accepted it! Hope you find the December letter easier!